This time of year (late January, early February) is usually the peak of Winter in my location. Those two months is when we tend to get the bulk of snowfall and the coldest temperatures. Of course, climate change has disrupted that pattern lately, but there is still some snowing and cold temperatures for now, thankfully (both are necessary for proper water levels and plant growth later in the year; an improper winter means a bad harvest). This is also time time of year when the days noticeably get a bit longer, especially at sunset. While it may be common to celebrate the Sun’s return at the Winter Solstice for some, this felt strange to me. We know now through technology what the days’ lengths are right down to the seconds and so can calculate exactly which day starts the Sun’s waxing period. But you don’t “see” it, or feel it. 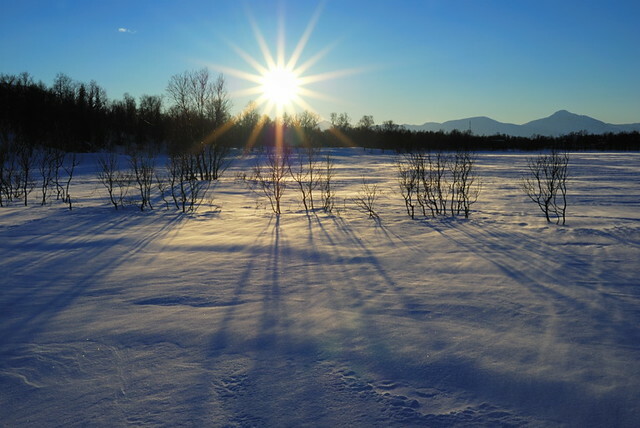 A couple of seconds of extra daylight doesn’t seem to make a difference to humans, environmentally speaking, so I generally fail to see the point of celebrating that on the Winter Solstice. I have always preferred to read signals from the land rather than using astronomical patterns, and the return of the Sun is no exception. In keeping with both my heritage and the land, my preferred day for this celebration is February 2nd. Called by many names in various religions, this day has a common association with light (candles, fire, lightening), hope (that the groundhog/badger/bear do not foretell a long winter), and renewal (purification of Mary, creating new fires, taking down Christmas decorations, the coming burst of life from the snow). It is also interesting to note that in both the Old High German calendar and the Ho-Chunk moon calender, the month that roughly corresponds to today’s February has associations with bears. According to one source (that’s sadly without citations, but I’m going to look into it further) Feb. 2nd is the “Day of the Bear” in places such as the Alps. Given that I recently became interested in the Eurasian bear cults, I find the timing of all this to be intriguing. There is also the association with the Deer cult in various Eurasian sources. Not of this particular day, but of the Sun’s movement across the sky. It has been noted in Scytho-Siberian sources that the Deer cults and the Deer goddess (occasionally god) carried the Sun in her antlers, which is also attested in a Hungarian song (link is cached version because sadly the original site is unavailable). Due to the Doe’s importance in my own life, I personally find it appropriate to honor her on this day as well. For now I keep the name Candlemas due to its familiarity. I’m slowly developing a holiday system as I go this year, allowing it to evolve organically with both research and real-time environmental changes, so my celebration of Candlemas will be simple this year. Candles and pancakes in honor of the Sun, with some deep cleaning of the apartment to promote a sense of renewal. I have already taken down my Christmas tree and other holiday decorations in preparation for that. It’s said in places like Poland that keeping such decorations up past Feb. 2nd is bad luck, and I certainly don’t want to put that thought to the test. Plus, as much as I like my tree, it was starting to get in the way. This time of year is also associated with efforts to get “rid” of winter, understandable from an agricultural perspective. 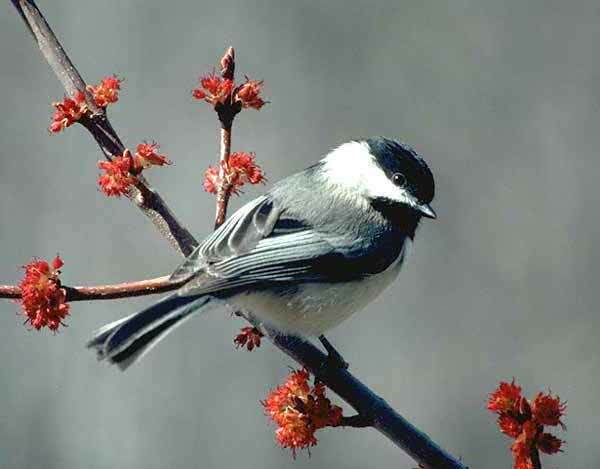 Food stores would be getting lean and game animals may be scarce, desiring a return of Spring as quickly as possible to start sowing seeds. While processions have occurred as early as November in Central Europe, many of them start gaining traction in February when Carnival season is at its peak. One of my earliest blog posts here references those processions. As a day of longing for the coming Spring, I find Candlemas to be appropriate for starting the “settling down” of winter activities and the start of preparing for the Summer. The “end” of that preparation period would be in late April, with Totaustragen repelling off the last of Winter, death, and disease, and the planting of seeds outdoors in early May. Alright, back on to Spring traditions! Remember that post I made about Pre-Lent Costumes? I mentioned how the costumes, in some areas at least, were meant to scare off the spirits of Winter. There’s also quite a bit of fertility symbolism that went along with all the festivities. There is a sort of continuation of those themes in a ritual that is rather common across Europe: The Expulsion of Death and Winter. Basically, an effigy of some sort, usually made out of straw, fir, or some other available material, is taken through or out of a village in a procession, and then destroyed. 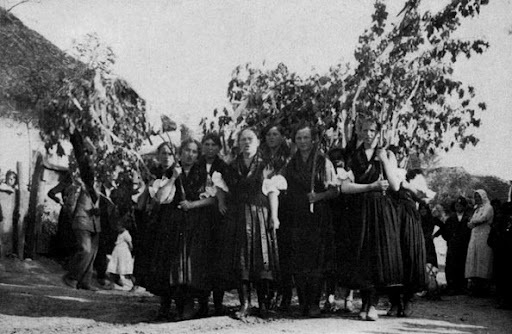 Afterward, a figure (human, tree, or otherwise) clad in some sort of greenery is welcomed in the village and celebrations ensue. This sometimes occurs on or around Mid-Lent, usually the 4th Sunday in Lent (Which is actually the week of this post’s date for 2011). This does not seem to be an uncommon practice, as many folklorists and anthropologists have noted parallels across Europe; even going as far as India with the drowning of a Kali effigy in March. However, I’m going to focus mainly on some of the German and Slavic names and customs here. In German, the festival is called Todaustragen, or Todaustreiben (from the words for “death” and “to carry out” or “to drive out”), with a few areas using the name Winteraustreiben and Sommereinholen (“Summer” and “catch up”). Similar rituals done in other countries have their own names, but I’ll mainly use the term “winter expulsion” for easy conversation. 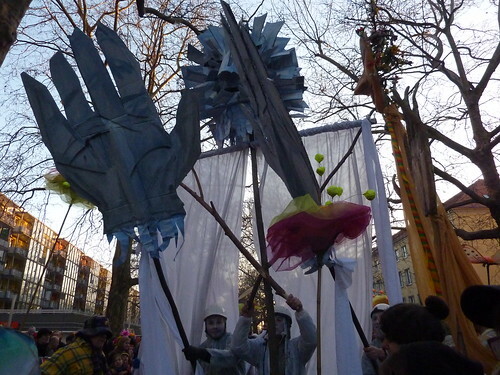 In some German-speaking parts, winter expulsion involves creating a straw monster or being which is then driven out by being beaten and/or burned. With regard to the burning of the effigy, Mircea Elidae saw a “fertilizing power of Death-a power attached to all the symbols of vegetation and to the ashes of the wood burnt during all the various festivals of the regeneration of nature and the beginning of the New Year” (Flaherty 1992). He was referring to a practice seen in Austria during his time, where the effigy had a funeral pyre and people gathered around to grab bits of it. Also found in Austria are the Perchten, or followers of Perchta, who carry bells apparently as another tool to drive out Winter and Death. There are several interpretations of the effigy and none are totally agreed upon: Vegetation being, Death, Winter, or even the Bubonic Plague (which would still be Death, but Christian in origin instead of the commonly assumed heathen origins). The gender of the effigy seems to be male in German parts of Central Europe, which makes sense since Death is also considered to be male (der Tod). In contrast, Slavic cultures such as those in Poland, Slovakia, and Czech Republic have a female effigy burned or drowned. She goes by the name Marzanna, Morena, and variations thereof. She is considered to be a remnant of a goddess of Death from pre-Christian times as well as a witch, so the female form makes sense if this is true. Other than that though, the steps for her expulsion is similar to German cultures. She’s taken out in a procession and then destroyed. In Hungary there does not seem to be as much fanfare for winter expulsion as in other places. The busos mentioned in the Costumes post linked earlier is suggested to be Hungary’s version of winter expulsion. There is a practice that links to the second half of the expulsion though, which is the welcoming of Summer to replace Winter. It is called Zöldágjárás, where they bring in green boughs through the village. To me it almost looks like Palm Sunday, so I wonder if this is really a remnant from pagan times or if it’s a variation on a Christian holiday. Judging from the images though, it seems that Hungary is already warm enough this time of year to start celebrating the arrival of Spring and Summer. Perhaps winter expulsion is simply not necessary at the same time and is better suited to the time of the busojaras earlier in the year. Back to German-speaking cultures, once Winter/Death is driven out, a man dressed in vegetation and green colors walks into the village with much celebration. This is the personification of Summer, of new growth and good times to come. There is also records of a play that occurs to depict the fight between Winter and Summer (with Summer ultimately winning), called der Kampf swischen Sommer und Winter, which usually occurs during the winter expulsion. There is a mention of March being the time of the new year in both Roman and Slavic lands until recently, which coincides with winter expulsion. In that context, it seems that driving away Winter is also driving away the old year, which makes sense. Summer in general seems to have a sense of “new-ness” with the arrival of fresh vegetation. Looking out my window, I feel an urge to have a bit of winter expulsion myself. Only now are some of the trees starting to wake up and show their flowers, with small shoots in the grass here and there. Much of the world is still gray and wet; some chunks of old snow still scattered about even. We don’t really have a spring here in Chicago, it’s more like a month where the weather can’t seem to make up its mind. The idea of a war between Summer and Winter fits perfectly here, as we can get snowfall one day, and temperatures warm enough for shorts the next. Even gardening books say we have a risk of frost until early to mid-May. Course, once Summer actually gets here in all its humid, blazing glory, people will start wishing for Winter again. It’s how it goes every year.